Musicians from the Fibonacci Sequence join Stephen Johnson for an exploration of the musical nuances to be found in Messiaen's wartime piece Quartet for the End of Time. Stephen Johnson is joined by members of the Fibonacci Sequence for a detailed exploration of Messiaen's wartime piece Quartet for the End of Time, with pianist Kathron Sturrock, violinist Jack Liebeck, clarinettist Julian Farrell and cellist Benjamin Hughes, before a complete performance of the work, given at the Bridgewater Hall in Manchester. 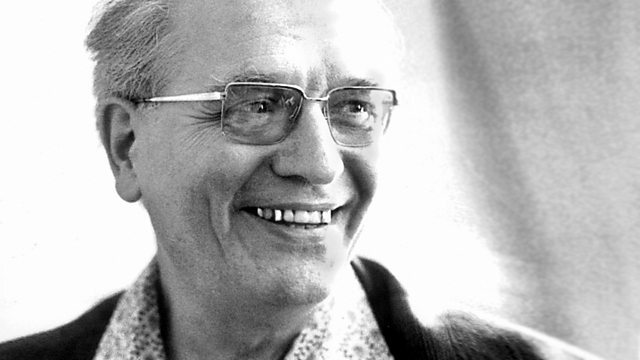 In 1941, Messiaen was captured by the German army and held as a prisoner of war at Stalag VIII-A in Gorlitz. It was there, to an audience of about 400 fellow prisoners that he, along with clarinettist Henry Akoka, violinist Jean le Boulaire and cellist Etienne Pasquier, gave the world premiere performance of his eight-movement piece. 'Never was I listened to with such rapt attention and comprehension', the composer recalled after the event.